On April 29th, 2019 BWS-BOSS Ltd. will be moving to a new address @ the old Bermuda Forwarders building at the end of Mills Creek. Our new address will be 2 Mill Creek Lane, Suite #1, Pembroke. A map of the new address is provided below & on the contact page. In an effort to make the process of receiving and sending freight from our NJ facility seamless, we are now fully implementing a change to how your orders/shipments MUST be addressed and labeled. 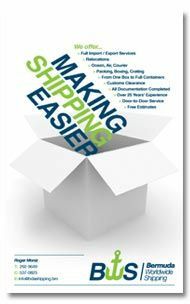 This will eliminate any confusion as to how you would like your shipments sent to Bermuda. Please make sure you change or add the new addresses to any of your supplier accounts, like Amazon, and select the appropriate shipping option when you’re placing your orders. Your name / BWS-BOSS Ltd. If you have any questions, please call our office prior to placing the order and we will help you make the right choices about your shipping options to save you money when possible. When ordering any items, please forward us the invoices, packing lists (if available) and any tracking details to info@bdashipping.bm and invoices@bdashipping.bm so we can keep track of your shipments and expedite the clearance upon arrival. BWS-BOSS Ltd. are pleased to announce the joining up with F.S. Mackenzie as an affiliated agent in the UK. F.S Mackenzie has been servicing Bermuda customers and shipments for a number of years now and we were fortunate enough to meet Keith at F.S. Mackenzie to offer co-loaded services with Paget Freight. We will together continue offering the great service and rates from the UK. Services consist of FCL, LCL, Break Bulk and air freight. We can arrange collection of shipments from your suppliers with quick and better than competitive rates. Feel free to contact us or Keith if you need any assistance with shipments coming out of the UK or Europe. Visit our affiliates page for complete contact details for F.S. Mackenzie and our other affiliates. Formally known as Econocaribe Consolidators. 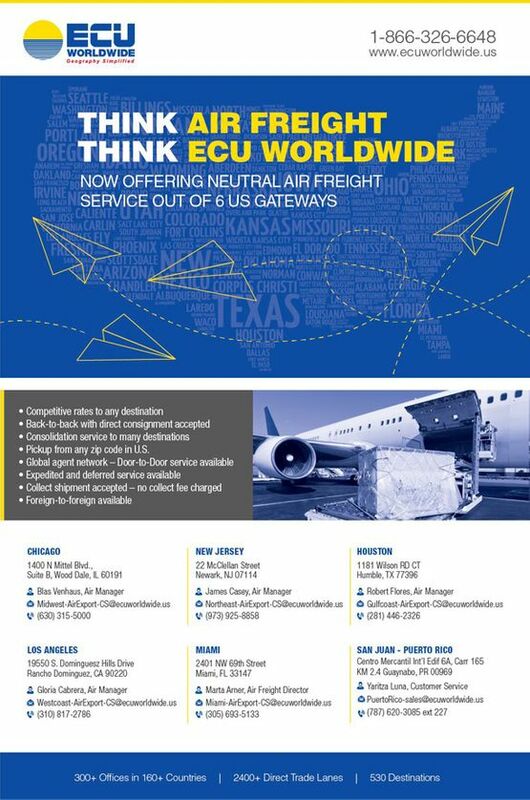 With the partnership of ECU Worldwide USA we are able to move any LCL or FCL from any location globally. Move your LCL freight from anywhere to Bermuda with the fastest port to port services available. Click on the brochures below to print full size copy. 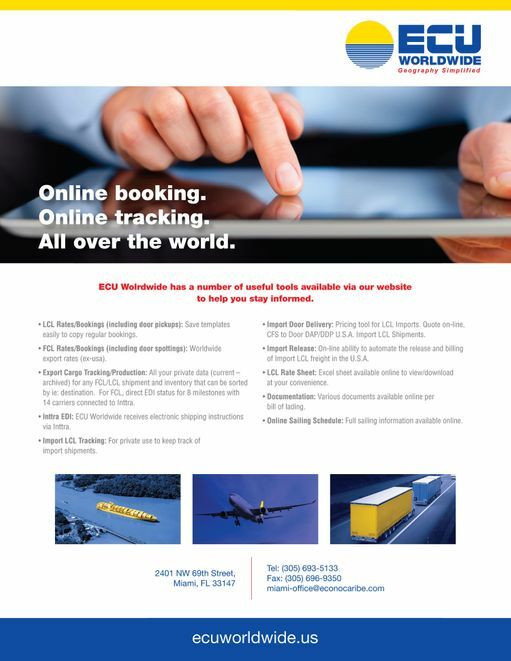 Take advantage of the useful tools via the ECU Worldwide website to help you stay informed and track your shipments. Give us a call or email us in order to set you up to use our ECU Worldwide partner services. Click here to keep up to date with ECU Worldwide news. Let us help you move your air freight out of the US to Bermuda with six U.S. major gateways with competitive rates and collection of goods from your suppliers anywhere in the U.S. In addition, we can move air freight globally from any country or origin to Bermuda. Simply provide us with the supplier or collection address, the volume & weight of the shipment, and let us handle the rest. 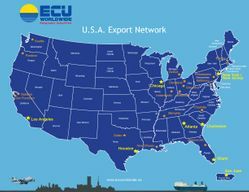 The ECU Export Network Map and Receiving Terminals List Throughout the U.S.A.
U.S.A. toll free (866) 326-6648. In addition to US receiving terminals in some of the most convenient locations throughout the USA, we can also arrange collection of your LCL shipments from any origin globally. Nothing is too remote or out of our way. times and most competitive rates available. BWS-BOSS Ltd family. Isobel comes to us with a vast amount of experience in import Customer Service and Customs Clearance. We are pleased to welcome her and are sure she will be an asset to our company and customers alike. BWS-BOSS Ltd. offers Full Container Load (FCL) and Less than Full Container Loads (LCL) Ocean Freight services to Bermuda on a weekly basis from the U.S., Canada and the U.K. If you are importing commercial products or personal cargo, our Customs Brokerage department will expedite the clearance process and can arrange island wide delivery if you require.